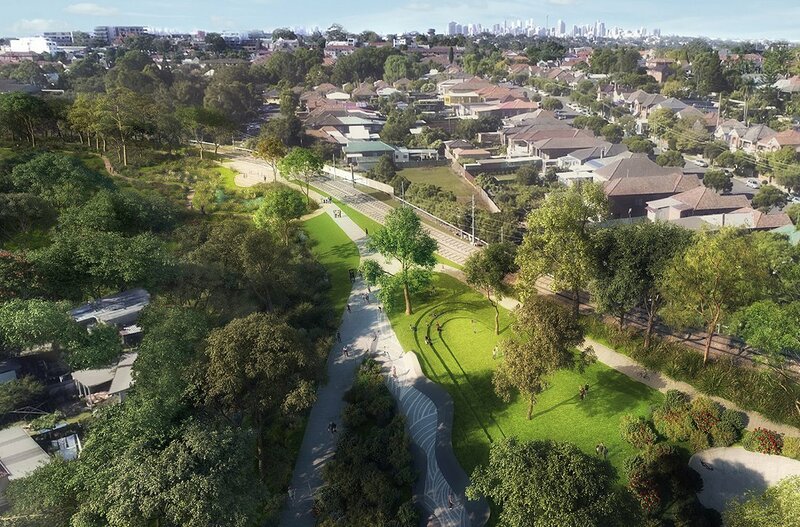 A major piece of green infrastructure is closer to reality in Sydney's inner suburbs with the draft GreenWay Master Plan now on show. The significant step is the latest in the 15 year bid to deliver the remaining 3.2 kilometre section of GreenWay walking and cycle path through Lewisham West and Dulwich Hill that will link with existing green infrastructure at either end. Expected is a $57 million capital outlay to see the project through to fruition, with approximately half of that amount already in place. The GreenWay Master Plan "sets out a unique, integrated, place-based approach which combines the four main functions of the GreenWay – active travel, ecology, recreation and culture – in each of the six precincts along the 5.8km corridor." In its entirety, the green corridor spans 5.8 kilometres from Cooks River to Parramatta River's Iron Cove. Backed by multi-disciplinary design studio McGregor Coxall, the GreenWay design mirrors the route of the Inner West Light Rail. The all-encompassing nature of the project sees bike paths and foreshore walks, cultural and historical sites, public art, community events, cafes, parks, playgrounds and sporting facilities included. Construction of the already funded stages is expected to commence in 2019, with latter stages slated for a 2020 start. All works as outlined within the draft GreenWay Master Plan will be rolled out over the next 10 to 15 years. 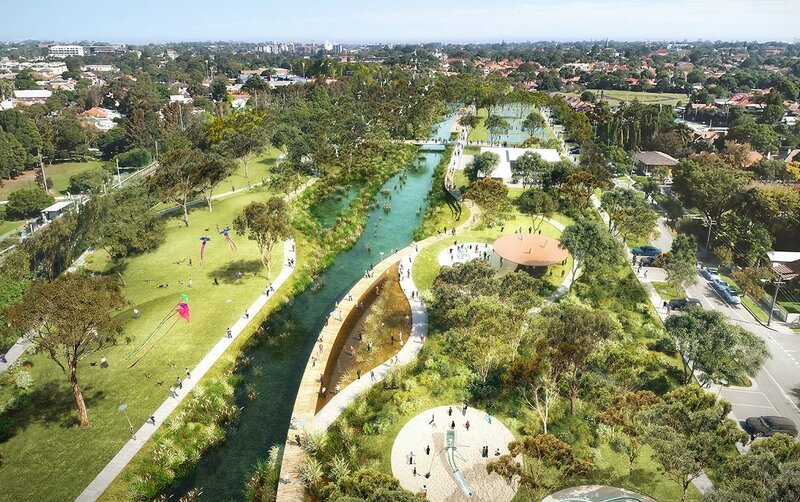 "In line with the Government Architect office NSW vision for a Green Grid network throughout the Sydney Metropolitan area, the Greater Sydney Commission has identified the GreenWay as the number one priority Green Grid project in the Eastern City District Plan". The GreenWay was first envisaged twenty years ago, and the current Master Plan follows two decades of hard work to keep the idea alive and bring it to this point, much of it by volunteers. It's an honour to play a role at this important time in the life of the GreenWay. In 2018, the project resonates in a city where residents are demanding better quality open space and natural areas, active transport links, and places where local arts and cultural programs can flourish. The Inner West GreenWay has got every single thing you want to have as part of the Green Grid. Green space is a key hallmark of liveability. We propose a network of high-quality green space that connects town centres, public transport hubs and major residential areas. Known as the Sydney Green Grid, it is an integral part of the Greater Sydney Region and District Plans. The Green Grid promotes sustainable development while maximising quality of life and wellbeing.